Here we are. The last week-end of 2013. 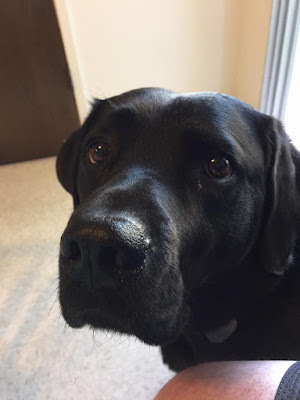 I am very hopeful for the future, my online book store is doing well, I have some public appearances planned for Leif and I; we are publicly paying back Guide Dogs with talks for the Guide Dogs for the Blind Speakers Bureau. I have also done pretty well in 2013 investing and there is lots of exciting anniversaries coming up in 2014, including my tenth wedding anniversary in June. Looking back, I will remember 2013 as the year I waited for a Guide Dog. It was well worth the wait to meet some great people and one amazing and funny black Labrador named Leif.